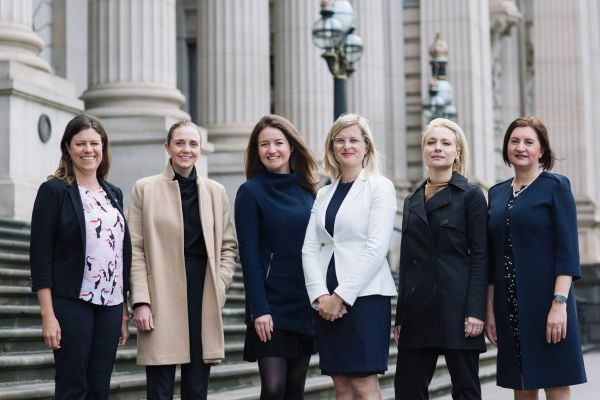 The Pathways to Politics Program for Women, a joint offering of the Melbourne School of Government and the Trawalla Foundation, is designed to address the under representation of women in Australian politics. Sarah McNicol joined 24 women, including several other MLS alumni, in the program’s inaugural year in 2016. Participants hear from current and former MPs along with local and international experts in media, polling, networking, party machines, ethics, campaigning and speech writing. “Having held a number of legal and public service roles, my professional life has always been apolitical,” McNicol says. The 2017 program runs from June to November, with applications now open until 4 April. In Australia, less than one-third of all parliamentarians, and one-fifth of all ministers, are women. Pathways for Politics aims to address this disparity by equipping participants from diverse backgrounds with the skills, networks and confidence they need to run for office at a federal, state or local level. For McNicol, one of the most valuable parts of the 2016 program was hearing from other MLS alumni who have pursued political careers, including the Hon Nicola Roxon (former Federal Minister for Health and the first woman to serve as Attorney-General), Peta Credlin (chief of staff to former Prime Minister Tony Abbott) and the Hon Kelly O’Dwyer (Federal Minister for Revenue and Financial Services). Like many of Australia’s legally trained politicians, McNicol has a wealth of experience as a lawyer and public servant, having worked in the private sector, at the Federal Court of Australia, across the Department of Justice and Regulation and the Department of Education and Training. “Working at the Department of Justice was an amazing opportunity to experience the world of policy – I did everything from briefing ministers to engaging with stakeholders to going to Parliament and assisting from the ‘advisor’s box’ while bills were being debated,” she says. Thinking ahead to her future campaign for election, McNicol says law and justice reform will be at the centre of what she wants to achieve as a politician. “Our legal system is incredibly complicated and I am personally very worried about the number of people who face it alone. Getting into office would be an opportunity for me to help change that directly,” she says. However, unlike the majority of the inaugural Pathways to Politics cohort, Sarah is not aligned with any of the major parties. While McNicol has no immediate plans to run for office in the next few years, two of last year’s fellows were recently elected as councilors in the City of Darebin and two others ran as candidates in the federal election. For McNicol, she knows that when the time comes, her legal background will stand her in a good stead. “Many people become lawyers because they are passionate about social causes,” she says. Applications for the 2017 Pathways to Politics Program close on 4 April. Prospective participants can view the eligibility requirements and apply here.